I would like to begin this blog post by thanking all those who are currently serving in the United States military and to all Veterans that have served. Currently, there are approximately 22 million veterans of the U.S. armed forces and 1.5 million currently serving. On September 15, 2017, the U.S. Supreme Court issued a ruling potentially affecting their military families. 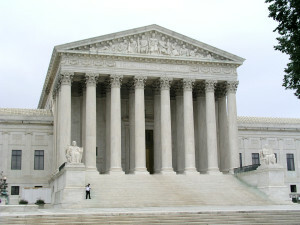 The Supreme Court unanimously ruled in May, 2017, in the case of Howell v. Howell (No.15-1037) that a state court may not order a veteran to indemnify a divorced spouse for the loss in the divorced spouse’s portion of the veteran’s retirement pay caused by the veteran’s waiver of retirement pay to receive service-related disability benefits. The facts surrounding case involved an Arizona court awarding Sandra Howell half of Air Force veteran John Howell’s retirement pay when the couple was divorced in 1991. Mr. Howell later became eligible for disability benefits in 2005 and elected to waive $250 of his $1,500 a month in retirement pay, which is taxable, in favor of $250 monthly disability pay, which is not taxable. The election reduced his ex-wife’s monthly divorce settlement by $125 and she went back to court requesting her half of what his pay would have been had he not chosen the election. She won and the Arizona Supreme Court affirmed that decision. Mr. Howell appealed the case to the United States Supreme Court which reversed the state Supreme Court’s decision. The Supreme Court further affirmed and clarified the prior decision that retirement pay that is received from the military as disability payments that commenced solely because of a service member’s disability is not payable to a former spouse. Mansell v. Mansell, 490, U.S. 581, 584 (1989). The Uniformed Services Former Spouses’ Protection Act (USFSPA) precludes a state court, within the context of a divorce proceeding, from dividing military disability retirement pay pursuant to state property laws because the USFSPA authorizes that only disposable retired or retainer pay be counted as marital property for equitable distribution. 10 U.S.C. § 1408(a) (4) and (7). The effect of the ruling abrogates the established case law in New Jersey that a pensioned spouse may not hinder the ability of the party’s spouse to receive pension payments by voluntarily rejecting, waiving or terminating pension benefits. Torwich v. Torwich, 282 N.J.Super 524 (App. Div. 1995). In Torwich, the court adjusted a property settlement when such disability payments commenced and reduced a civilian spouse’s pension benefits. In that matter, the former spouse’s share of the service member’s retirement benefit was reduced from $249 per month to $97. Citing Clauson v. Clauson, 831 P.2d 1257 (Alaska 1992); and McMahan v. McMahan, 567 So.2d 976 (Fla. Dist. Ct. App. 1990), the court at the time opined that federal law “does not preclude [state] courts from considering, when equitably allocating property upon divorce, the economic consequences of a decision to waive military retirement pay” in order to receive disability pay. The United States Supreme Court has clearly spoken and its decision is now the law of land. According to the Congressional Budget Office, about 55 percent of the 2 million military retirees are subject to the VA offset. The decision by the Supreme Court will have ramifications far and wide. Particularly, as noted above, here in New Jersey.